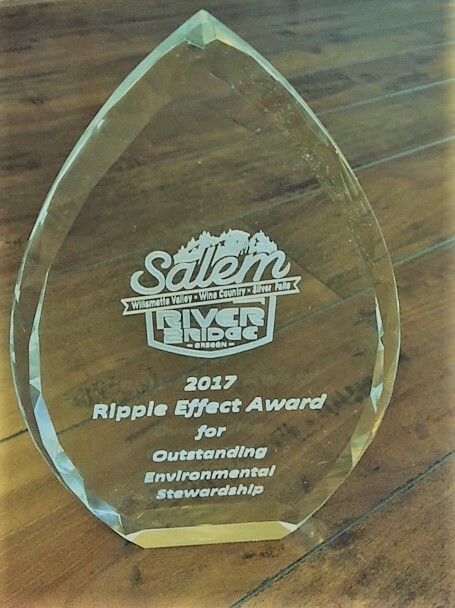 On Sep­tem­ber 16, 2017 the City of Salem and Travel Salem awarded the North San­tiam Water­shed Coun­cil the first annual Salem’s River 2 Ridge Rip­ple Effect Award which cel­e­brates orga­ni­za­tions that con­duct envi­ron­ment and com­mu­nity work that enhances the future of Salem, Mar­ion and Polk coun­ties nat­ural assets. •Col­lab­o­rates with com­mu­nity mem­bers and groups to increase mag­ni­tude of the scope of work. 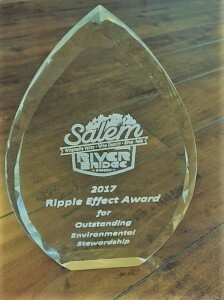 The North San­tiam Water­shed Coun­cil would like to thank all the vol­un­teers, landown­ers, orga­ni­za­tions and land man­agers who assist them in con­duct­ing restora­tion and plan­ning activ­i­ties that build both com­mu­nity and water­shed resiliency.